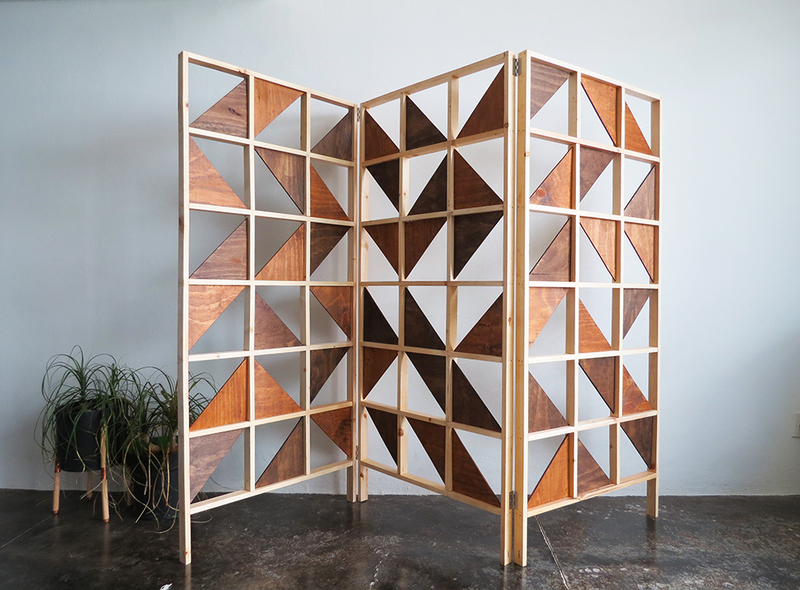 This room divider is one of the last tutorial I made for Bob Vila. I just love how it turns out, I was inspirited by this pin. 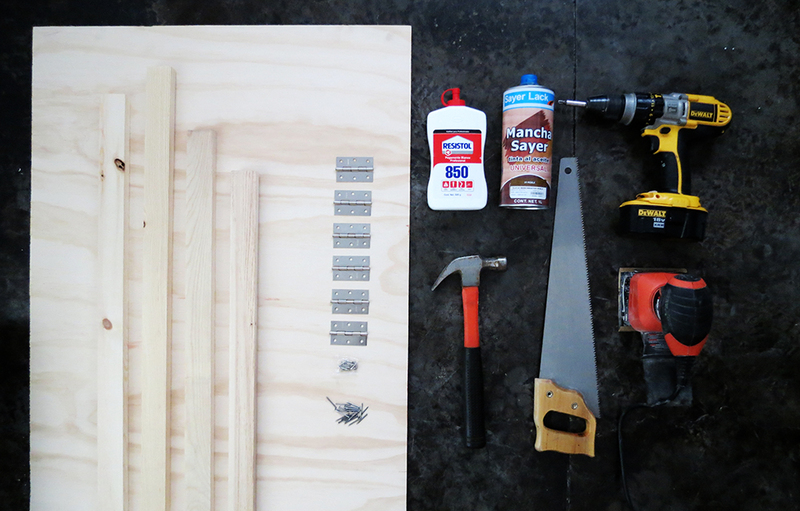 It’s much easier to build than it seems and it’s a perfect weekend project. It’s so practical to have a paravent to divide the space following the need. 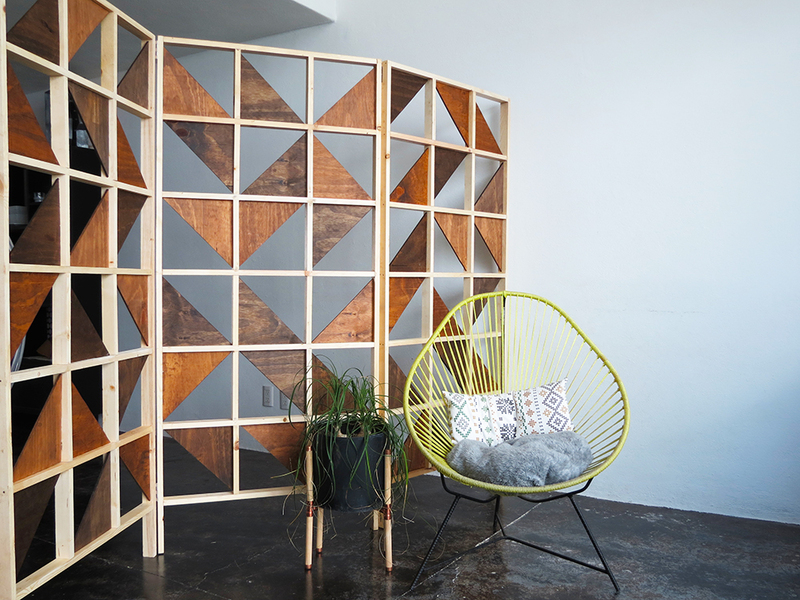 It can be use to create a privacy nook or to separate two different living areas in the same room. It’s easy to move around and even to store, by just folding it, if you need to use all your space at one time. 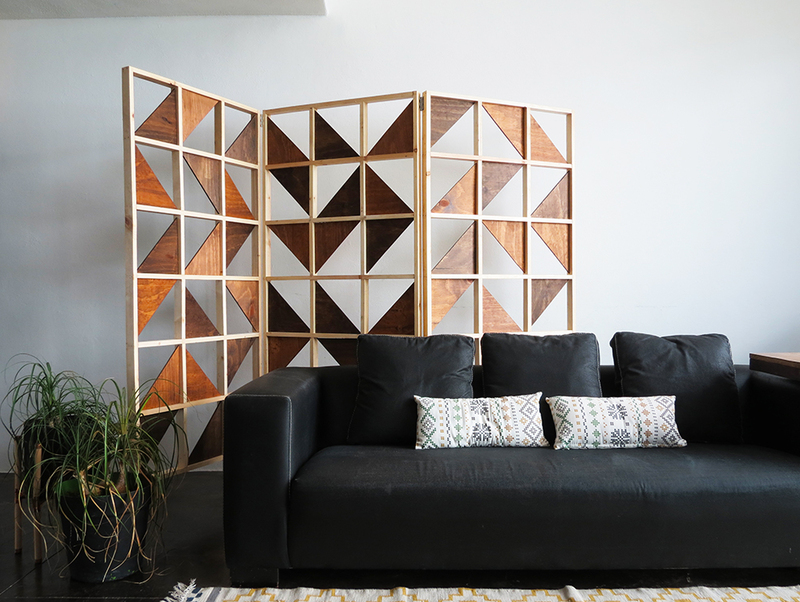 For the moment it stands in my living room, I just use it as a graphic decor! 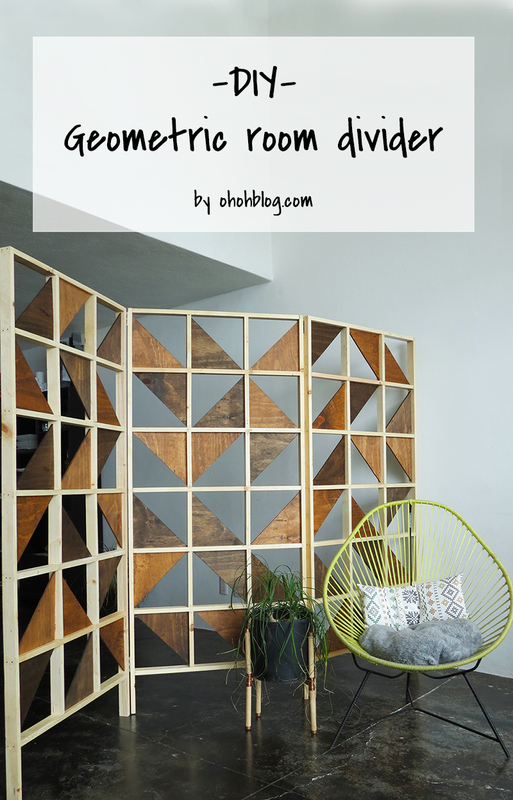 Room divider is nice way to decor home and divide a room. 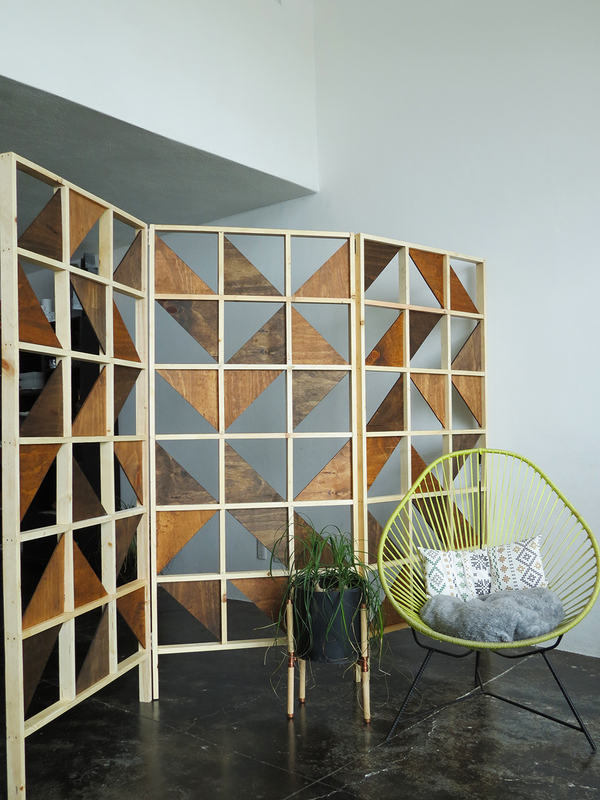 thanks for your ideas for room divider.